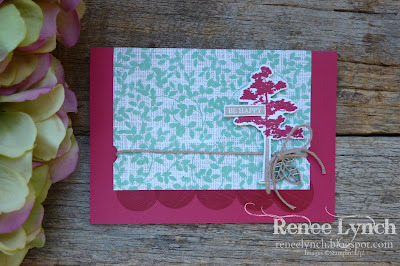 I am loving playing with some of the Stampin’ Up! New and returning colours. The start of a new catalogue is always a super exciting time. Playing with all the new goodies, feels like Christmas. 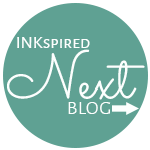 Im joining in on the INKspired bloghop today. Before me on the hop is Allison. We hop once a fortnight and our insperation is always a sketch that the lovely a Teneale has created. 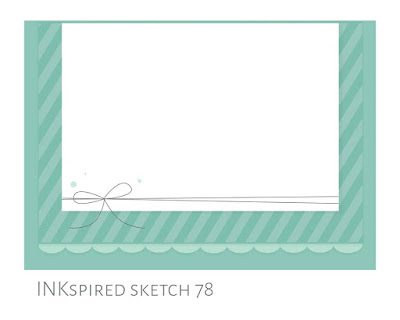 This is the sketch for this hop. I pulled out some new goodies I got at OnStage and started playing around with a few colour combos. I pulled out the Natures Poem Designer series paper (DSP) and coordinating stamp set Rooted in Nature. I loved this stunning leaf DSP using Mint Macaron. The texture in this paper is stunning. 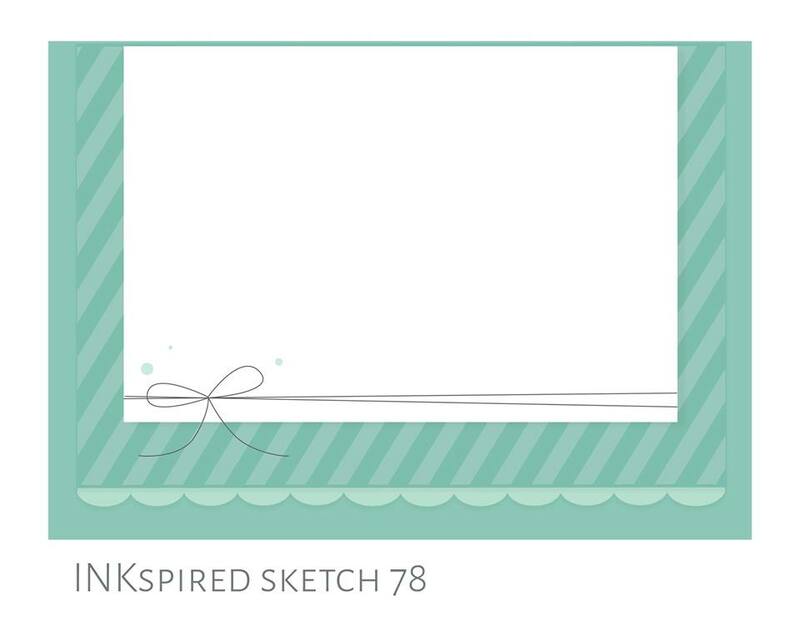 Once I picked the paper I just played around with the sketch and I actually changed the sketch a little by not adding the top panel, I just loved the DSP I didn’t want to cover it up. I stamped the circles out of Wood Words stamp set to create the scallop in the sketch in Lovely Lipstick ink on Lovely Lipstick Card. I then stamped and cut out the tree using the new incolour Lovely Lipstick and Crumb Cake on Whisper White thick cardstock. To finish it of I used the new Crumb Cake twine to tie a bow and the new Leaf Trinkets, I love these.